Odwalla is bringing a smooth, tasty twist to the kombucha craze. Three flavors – Citrus & Guava, Berry & Ginger and Apple & Greens – offer a unique mashup of flavor and function, with 40 percent less sugar and fewer calories than leading smoothies. 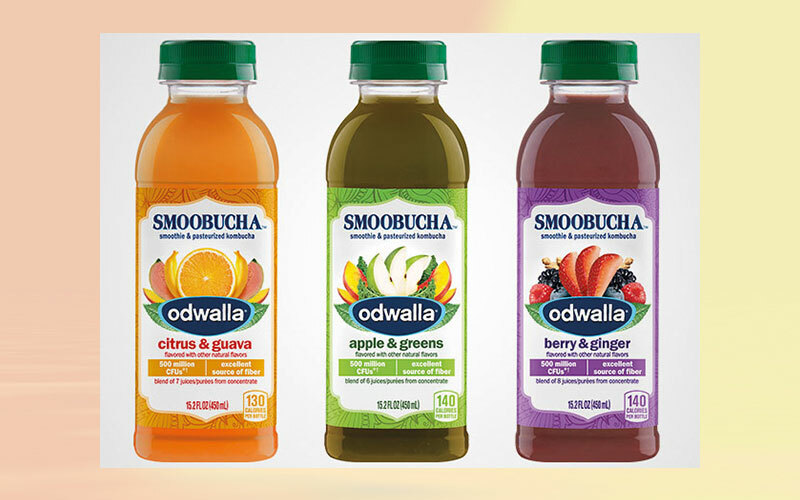 The cleverly named beverage also includes 500 million colony-forming units of “good” bacteria, an excellent source of fiber that helps support digestive health and delivers 100 % daily value of antioxidant Vitamin C. Odwalla Smoobucha, offered in 15.2-oz. bottles, can be enjoyed as a nutritious, on-the-go snack. Odwalla also is introducing two limited-edition flavors inspired by the vibrant essence of spring. Hot Tropics and Mint to Be Berry offer a refreshing blend of 100 % juice, coconut water and trendy botanical ingredients such as jalapeño and mint.